Life being too short as it is I am not on Danny’s Twitter list so I am grateful to a friend for alerting me to this message and sending me a copy. Danny was excited over a review in the Irish Times of a recently published academic tome examining the relations between the East German intelligence service, the Stasi and Ireland between the foundation of the GDR in 1949 and the fall of the Berlin Wall in 1990. The book, published by Manchester University Press, was written by Jerome aan de Wiel and retails for an eye-watering £63. The book is based on an examination of some 6,000 documents – what Mr aan de Wiel terms ‘surviving’ documents – retrieved from the Stasi’s files in East Berlin. But what of the shadowy contacts between Belfast and East Berlin that pop up in many standard works on the Troubles? 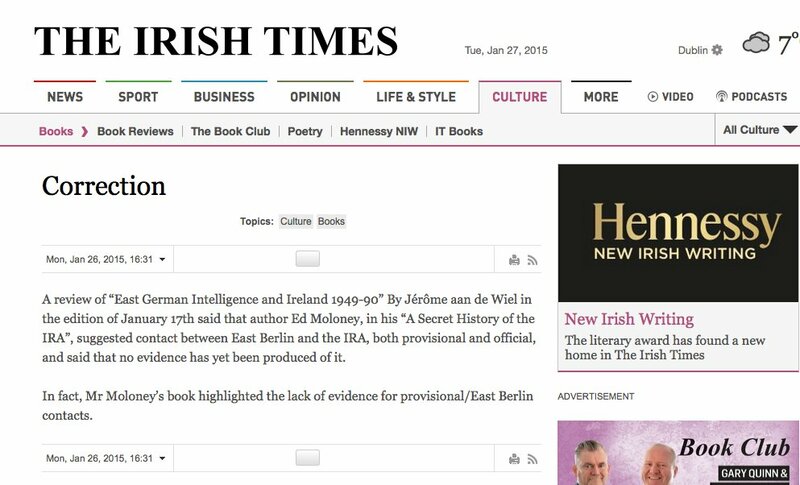 According to aan de Wiel, many of these works, such as Ed Moloney’s history of the IRA, make claims that are not backed up with evidence. The comment angered me, needless to say, but it was also puzzling. As the friend who alerted me to the Morrison comment pointed out I never made any connections at all between the IRA and the Stasi in ‘A Secret History of the IRA’ (not ‘a history of the IRA’ as Scally called it). I have never said anything about Ed Moloney, and in fact was very careful about what I wrote. In his impressive history of the IRA, Ed Moloney writes that PIRA (Provisional IRA) member Brian Keenan was said to have contacts with the East bloc, especially with the Stasi, but that concrete evidence to support this is not forthcoming. 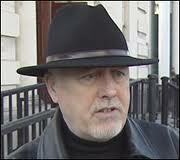 Keenan was often described as the tough Marxist within the IRA. As Moloney points out it was in fact the OIRA (Official IRA) that got support from the Soviet Union and the East bloc. It is in fact the supposed links between the Stasi and the Officials which Mr aan de Wiel says is not supported by those ‘surviving’ Stasi papers; nothing to do with the Provisionals at all. But in his eagerness to take a swipe at myself the bold Danny either didn’t check or didn’t care. I suspect the latter. An important point must be emphasised though. This is not to say that it is absolutely certain that the Stasi did not do it, (i.e. supply the Officials with guns etc) but based on the evidence of the surviving written material it simply cannot be proved. I would add my own qualification, based on my knowledge of said Officials, and that is to explore further the meaning of the word ‘surviving’ as in ‘surviving documents’. Or, to put it another way, I would dearly like to get a glimpse at the airline manifests of incoming passengers at the airports in Berlin in the days immediately following the fall of the Wall, especially those whose airport of origin was either Dublin or Belfast and whose addresses were either in Gardner Place or the lower Falls Road, especially Cyprus Street. From what Jerome has said below and from my reading of the relevant passages, this strikes me as incorrect quoting from the book by Derek Scally in his review in The Irish Times rather than anything wrong that Jerome has said. We may ask Jerome to ask The Irish Times to print a correction to this. Sinead O’Connor & Sinn Fein – Whatever Happened To That? 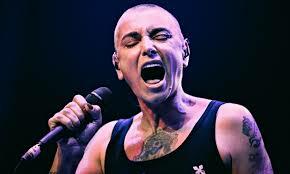 Remember Sinead O’Connor joining Sinn Fein and asking for a meeting with Gerry Adams? To discuss, ‘the creation of a new country’ and ‘a private matter’. That was back in mid-December. More than a month ago? 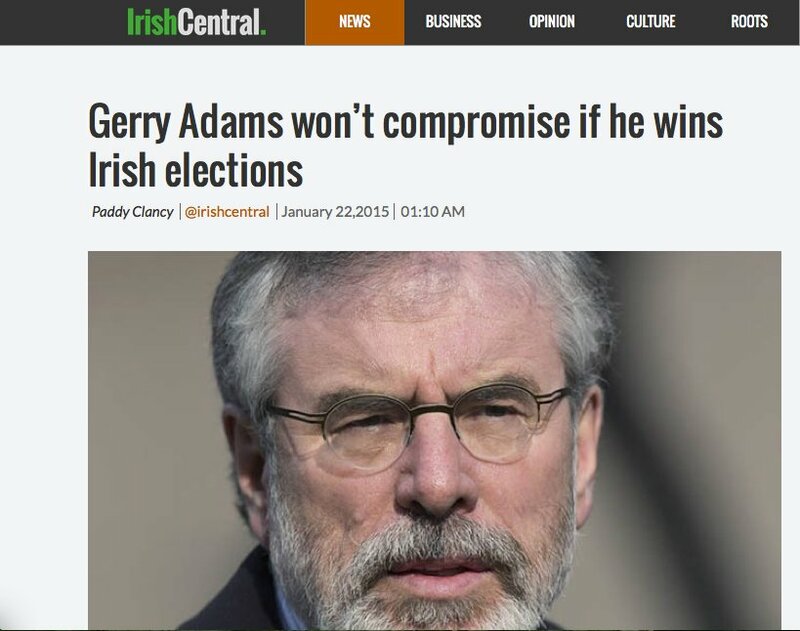 Have any of Ireland’s journos bothered to follow up on that, or has the story just disappeared into the mystic, or down the drain like the dregs from the last pint of Guinness? Have they just plain forgotten and moved on to the next fleeting story? And what was ‘the private matter’? I’d like to know. Wouldn’t you? In order to assist accurate reporting of the latest developments I have prepared this short summary of the genesis of the UVF’s involvement in the Boston College project. A meeting was held at the Europa Hotel in Belfast in the early summer/late spring of 2003 between Dr Robert O’Neill, the Burns Librarian at Boston College and two people authorised to speak on behalf of the UVF to discuss the organisation’s possible participation in the project. The project director, Ed Moloney was not present at the meeting and learned about it only afterwards, and needless to say Dr McIntyre was not involved in any way. Of paramount concern to the Loyalists was the confidentiality and security of the interviews, should the group agree to participate. 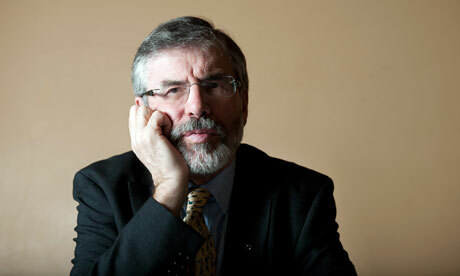 In particular they asked O’Neill would the interviews be safe from the police in Northern Ireland? In return Dr O’Neill gave the Loyalists what one of the pair later described as “an ironclad” guarantee of confidentiality and safety. On the basis of that assurance given by a senior academic from a college they believed to be trustworthy, the UVF agreed to participate. It is now evident that they were misled by Boston College, grievously so. It was always intended to make the archive as wide-ranging as possible and to include, provided terms could be agreed, Loyalist activists and the police as well as Republicans. The UVF was approached by Mr Moloney and agreed to discuss the matter with Boston College. Subsequently the meeting with Dr O’Neill took place. The RUC was also approached and agreed to participate on the same terms as everyone else, including those covering confidentiality. Again these negotiations took place directly between Boston College and the police, initially at a weekend conference at Gleneagles golf resort in Scotland. And again neither Mr Moloney nor Dr McIntyre were involved in these discussions but the RUC representatives were satisfied enough to agree to participate. RUC involvement in the Boston Project commenced in June 2003, around the same time as the UVF interviews began. The secret efforts by the PSNI and the Public Prosecution Service to obtain the interviews allegedly given to Boston College by Winston Rea are in fact a pathetic attempt by the security authorities to demonstrate balance in their efforts to invade a confidential academic archive in the United States. Having previously expended all their energies on attempting to obtain IRA interviews and in the process drawing the ire of Irish-America, the PSNI and the PPS are now trying to show the Americans that they are even-handed by pursuing a well-known Loyalist figure who is related to the late UVF leader Gusty Spence. The truth is that this PSNI pursuit of Mr Rea is a fishing expedition carried out for narrow political purposes. They have no evidence that any alleged interview given by Mr Rea describes any offence committed by him and I am reliably informed that the last time the police, then in the form of the RUC, showed any interest in him was seventeen years ago, in 1998, when he was brought in for routine questioning and quickly released. The last time he was in court was 1986. There is, as far as is known, no current investigation into Mr Rea and if there was one he would have been arrested long before now and questioned. In court today a lawyer for the PPS’s office was unable to answer when asked if there was a current investigation by police into Mr Rea. In one self-serving act the PSNI and the Director of Public Prosecutions, Barra McGrory have blown a huge hole in the recently negotiated deal crafted by local parties and the three interested governments to deal with Northern Ireland’s bloody past. A proposal to create an oral history archive where activists could tell their stories is now dead in the water. If the PSNI succeed in this fishing expedition against Mr Rea then everyone who lodges an interview with this archive is at risk of seeing their interviews seized by PSNI detectives and themselves hauled before the courts. When this book was published in early 2010, it received a great deal of media attention because of a number of claims made by Brendan Hughes about Gerry Adams’s role as a senior member of the Provisional IRA during the Troubles. The main focus of interest was on Hughes’s account of Adams’s part in a number of the most controversial incidents in the Provisionals’ campaign, including “Bloody Friday” and “the Disappeared.” This controversy and the response of Provisional politicians to the claims show that the issues raised have not yet passed into history, but remain very much alive in Northern Ireland’s politics. Thus, the reception of these allegations revealed that the mutually agreed vow of silence between the region’s leaders and the polite understanding that they would not raise the skeletons in their respective cupboards held firm: if unionists turned a blind eye to revelations about Gerry Adams’s part in the war, then Sinn Féin would not be so indelicate as to mention Ian Paisley’s career on the wilder shores of unionism or Peter Robinson’s private conversations with loyalist paramilitaries. Ed Moloney’s book seeks to undermine this collective amnesia and challenge the moratorium on historical enquiry that this mutually beneficial truce has imposed on many areas of public life in Northern Ireland. The book is built around interviews with the late Brendan Hughes, former Provisional IRA commander in Belfast, and the late David Ervine, a former UVF member and leader of the Progressive Unionist Party. The interviews were carried out as part of a Boston College oral history project that aimed to record the views and experiences of a range of participants in Northern Ireland’s Troubles from the late 1960s onward. One of the conditions of the research was that interviews would only be available for publication with the consent of interviewees or upon their death. Given these strict conditions and the controlled nature of the undertaking, it is to be expected that this project in general, and this book in particular, would prove a rich source for historians of the conflict. In that we are not disappointed, although perhaps not in ways that we, the author, or indeed Brendan Hughes and David Ervine might have expected. Moloney uses the accident of their early deaths to make use of their interviews to construct two linked, if not exactly parallel, lives. There are some very broad similarities in class and social background, along with some overlapping points of contact, in which both Hughes and Ervine could be said to have touched the life of the other. However, this is a somewhat forced conjunction in general, although Moloney does use the different reception accorded to Gerry Adams at their respective funerals to telling effect as perhaps the only real example of the conceit that frames their individual stories. It is in the contrast between the two men and their war in Ireland that the great value of this book lays. The greater part of the book is devoted to Brendan Hughes, reflecting perhaps the depth and range of the original interview from which Moloney draws. David Ervine’s interview, on the evidence of his section of the book, appears to be much less comprehensive. This may well reflect the skill of the original interviewer, but given that Ervine refused to discuss his specific role in the UVF, in contrast to the detail given by Hughes of his (and other people’s) activities, it is more likely that this more guarded response was a carefully considered one on his part. This points to the underlying and fundamental contrast between the two men that goes beyond their individual personalities or their individual stories. Moloney presents them as representative characters standing for much more than themselves: this is not just “two men’s war in Ireland”; in Moloney’s hands the story of the Troubles as a whole is refracted through Brendan Hughes’s and David Ervine’s individual experiences. Brendan Hughes is determined to escape the condescension of posterity and ensure that on this occasion at least history will not be written solely by the winners. He recognizes that his project has been defeated and he uses the interviews to explain why and how he thinks this has happened. His exposition combines the political and the personal given his close relationship with Gerry Adams and the role that Hughes ascribes to Adams in the betrayal of Provisional republicanism. Moloney is surely not exaggerating when he finds in that trope of treachery an echo of classical tragedy or sees parallels with historical Irish republican fratricide. In contrast to Gerry Adams’s frequent denials of any involvement in the IRA, Brendan Hughes does not shy away from his role and his responsibility in the Provisional campaign. For example, he is candid about his role in the case of the Disappeared and his activities with D Company in the Lower Falls in the early 1970s, along with other aspects of the armed struggle he conducted over more than twenty years. His account is permeated with a great sense of subjective agency and belief that it was republicans who were making history rather than waiting on events to shape their fate. At no stage does Brendan Hughes portray himself or his comrades as merely passive actors, swept along by the confusion of the times. While he expresses regret and sorrow at particular actions, there is no general recantation or repudiation of what he did as a member of the Provisional movement. Indeed in these interviews Brendan Hughes continues to argue strongly that the IRA’s campaign was a justified and necessary form of violence to achieve political goals. This issue of legitimation is at the heart of Hughes’s position and clearly animates the feelings of betrayal that provide such a strong element in his part of the book. He argues that the current Provisional leaders have abandoned the cause and settled for a settlement far short of the movement’s revolutionary aims. They have done this by not only turning their backs on old comrades and old principles, but have carried out an even worse betrayal by both denying their own history and retrospectively delegitimizing the republican struggle as a whole. David Ervine’s account is very different, both in tone and content. While Brendan Hughes seeks to shape his own epitaph by apparently revealing all, David Ervine remains very much the public man who guards his own reputation carefully. His account of the impact of the Troubles in the early 1970s portrays the loyalist community as essentially reactive: his assessment of his own experiences stresses that he too was caught up in this communal anger and was swept along by an urge to strike back at the enemy. Ervine’s account of these currents is interesting as is his portrayal of the ideological and psychological confusion that loyalists faced when confronting their “own” British state. However, he does not discuss the details of his paramilitary involvement nor does he fully explain his own political development toward a form of unionist laborism, much less explore the ideological evolution of the UVF and the PUP in general. We read about loyalist contacts with the Dublin government and are provided with some interesting vignettes about the peace process negotiations, but somehow the substance and the significance of what happened is denied to us. It would have been useful to hear more about these political debates within loyalism and the ways in which David Ervine persuaded his comrades that unionism had “won” the war and that it was the peace process that would secure the Union. Given recent developments in the PUP and UVF following Dawn Purvis’ resignation from the leadership of the party, these issues continue to have resonance for contemporary unionist politics. Running through David Ervine’s account is the difficulty of sustaining a viable loyalist political project with a distinct class identity, especially given the historical relationship between mainstream unionism and its less constitutional loyalist cousins. One conclusion that we can draw from Ervine’s interviews is that, despite his personal abilities and public profile, he too was unable to solve this political problem, and that although unionism as a whole has indeed won the war, it seems unlikely that a distinctive loyalist political project will be able to win the peace. An earlier period of Irish Troubles left us accounts of varying quality and value by such as Dan Breen and Ernie O Malley. While we yet await our Ernie O’ Malley, thanks to this book and the oral history archive on which it draws we have more than a Dan Breen-style ripping yarn to help us understand what was happening in Northern Ireland since the late 1960s. Ed Moloney’s book is a valuable contribution to our knowledge, both for what Brendan Hughes and David Ervine say and, more importantly, for what they don’t say. He has rendered historians and other researchers an inestimable service by ensuring that these particular voices from the grave will continue to be heard for a long time into the future by anyone who wishes to know what the Troubles were really about. Did The British Army Have A High-Level IRA Agent In 1973 Code-Named ‘Brocolli’? That is the intriguing question that jumps out of the pages of a de-classified British military document recently released by the British National Archives at Kew. 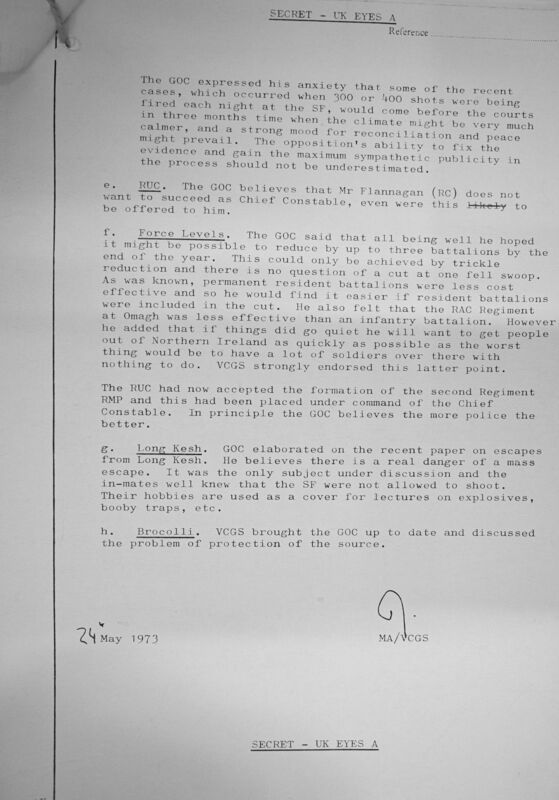 The document carries an account of a meeting in May 1973 between two of the most senior British Army officers involved in the conflict in Northern Ireland during which the existence of a source, apparently named ‘Brocolli’, is mentioned, along with “the problem” of the source’s protection. 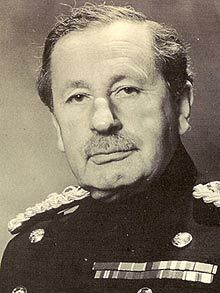 One was the GOC, or General Officer Commanding British troops, Sir Frank King who served in that post between February 1973 and August 1975; the other was the Vice Chief of the General Staff, the second most senior officer in the British Army, Sir David Fraser, who was a veteran of the British Army’s campaigns in Malaya, Cyprus and Suez. He went on to be the UK Military Representative at NATO. Also present were two senior British military officials, the Director of Military Operations (DMO) and the Director of Army Staff Duties (DASD), neither of whom are named. Nor is the location of the meeting given in the two-page document but it is likely to have taken place in London since the paper notes that “GOC Northern Ireland visited VCGS….” who was normally based at the Ministry of Defence in the British capital. h. Brocolli. VCGS brought the GOC up to date and discussed the problem of protection of the source. There is no clue about “Brocolli’s” identity, not even that it is a person rather than a thing, and nor is it at all clear whether “Brocolli” is associated with Republican paramilitaries rather than Loyalists. However the paper makes an earlier reference to the fact that the Army now has “good intelligence” on the UDA and the absence of a reference to “Brocolli” at this point in the discussion suggests it was not a Loyalist source. That points to a Republican connection and, since the Provisional IRA was the British Army’s principal foe in 1973, that “Brocolli” was somehow associated with that camp. What is beyond dispute is that “Brocolli” was a very important source. Otherwise he, she or it would hardly rank as a subject for discussion between two such senior military figures. The fact that “Brocolli” is clearly in need of protection also points to a human source rather than an insentient entity, such as a bugging device. Had “Brocolli” been an Operation then it would have been written as “Operation Brocolli”, in accordance with British military practice. Mention is also made of the SRU, or Special Reconnaissance Unit, a successor to the MRF (Military Reaction Force) and forerunner of the FRU (Force Research Unit). In 1973, the SRU operated under the cover name of NITAT(NI) – a forerunner of the 14th Intelligence Company, known as “the Det” in military circles. We have now got good intelligence on Herron (Tommy Herron, then leader of the UDA) and the Protestant extremists. 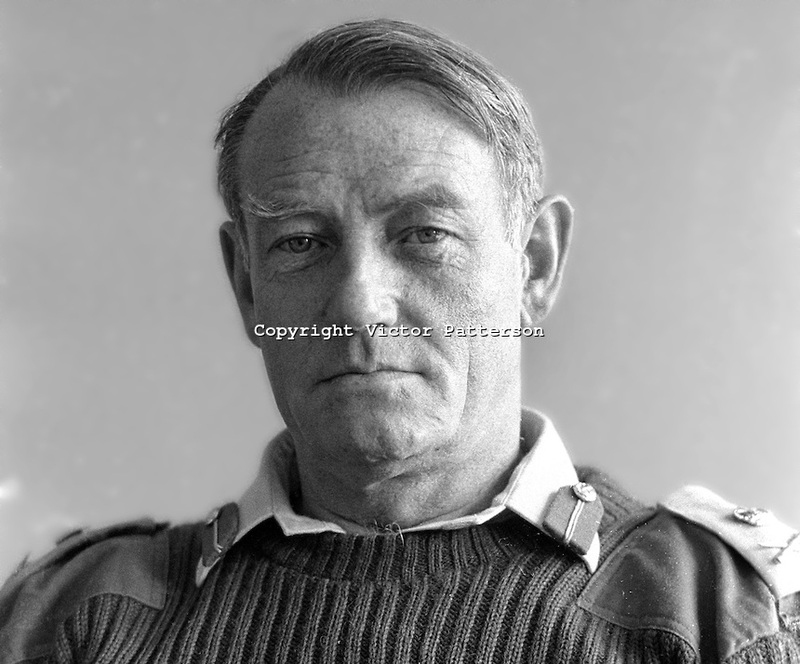 The IRA Officials were becoming convinced that the Army was about to break the ceasefire but there was no indication of what was causing this rumour. The GOC said ”We are now entering the intelligence phase of the war”. Mr Rowley, DCI, had undoubtedly improved the Intelligence organisation which was now working better than ever before, and much more information was coming from Special Branch. The SRU, on its first operation, had a very successful capture of two men, subsequently leading to five others. This was as a result of lying up in a house on the north banks of Lough Neagh for 2 1/2 days. Sir David Fraser’s satisfaction at the progress made in the intelligence war with the IRA seems to have been justified. 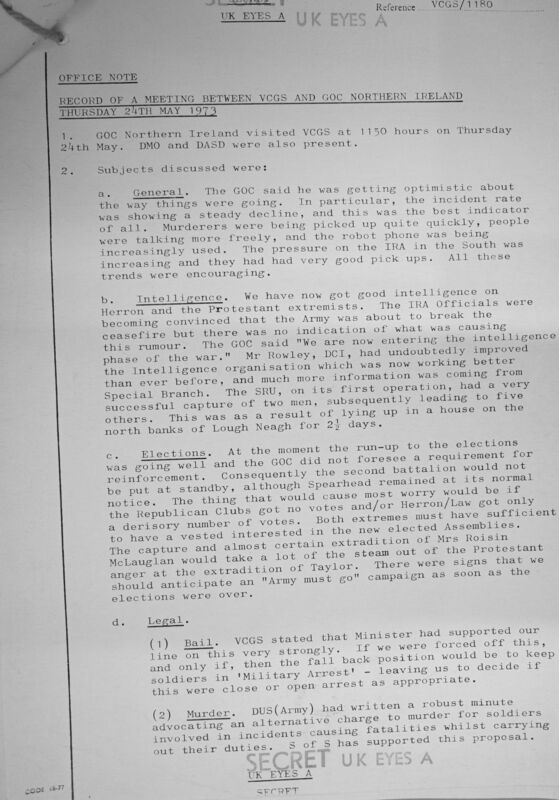 Less than two months after their meeting, the British Army’s top brass were celebrating the arrests of Gerry Adams, Brendan Hughes, Tom Cahill and other senior members of the IRA in Belfast as a result of intelligence allegedly provided by the IRA’s then Belfast Quarter-Master, Eamon Molloy, a double agent who was later killed and his body ‘disappeared’ by the IRA. However Molloy was recruited by the RUC Special Branch, not the British Army, during interrogation at Castlereagh Holding Centre so he is unlikely to have been “Brocolli”. Another candidate for “Brocolli” was Freddie Scappaticci, a senior member of the IRA’s Internal Security Unit – the IRA’s spycatchers. 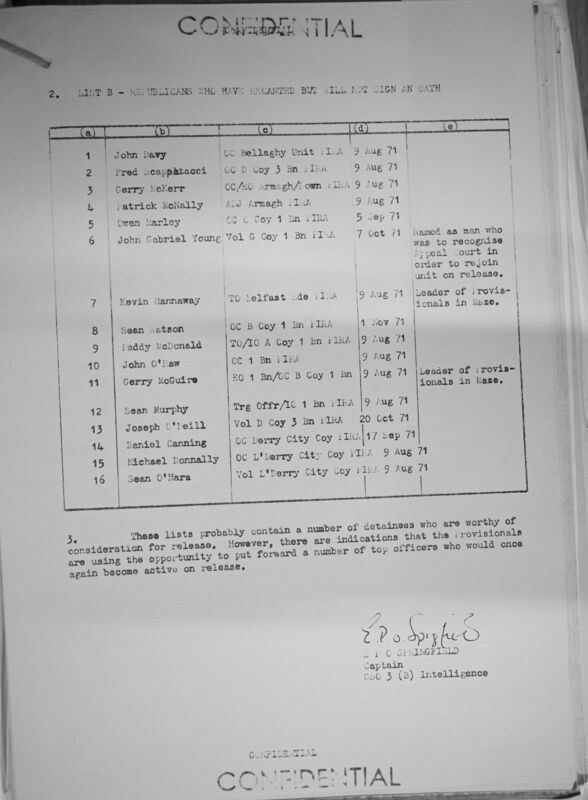 He was interned at Long Kesh at the time, as another military document released by Kew reveals, and therefore could not have been the source discussed by Fraser and King. Scappaticci was later recruited and subsequently managed by the FRU and, according to some former FRU members, given the codename ‘Steaknife’. Scappaticci was listed among a number of IRA internees whose names had been submitted by the then SDLP leader Gerry Fitt to British Secretary of State William Whitelaw, in July 1973 for release. Attached to this minute at Annex A is a list of the 30 men who Mr Fitt is attempting to get released from internment. All of them are known hard men, some harder than others. But Mr Whitelaw has been told that of the 86 men released from Long Kesh in the last six months 57 are known to have returned to terorism almost immediately. Therefore although everything possible should be done to keep the SDLP on the right side of the Executive bargaining, Mr Fitt’s request should not be given in to too easily. Was ‘Brocolli’ a human agent buried inside a paramilitary group, the IRA for instance. Or was it something else? Gerry Fitt’s list of requested releases from Long Kesh included Freddie Scappaticci, later the alleged agent ‘Steaknife’. * Thanks to Tom Griffin who tweeted that Rowley was more likely to have been MI6 than MI5. See this link.